The Ministry of External Affairs (MEA) on 10 May assured that said that India is coordinating with the Pakistan Foreign Office for the safe return of an Indian woman Uzam, who alleged that she was sedated, tortured and forced to sign a nikah nama at gunpoint in Pakistan. 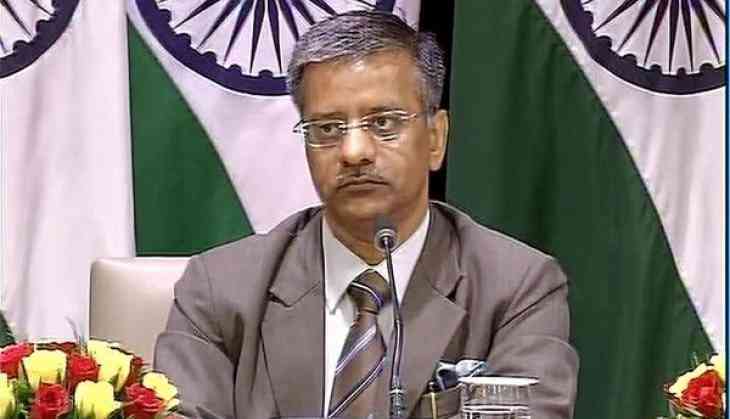 Talking to media, MEA spokesperson Gopal Bagley said, " The Indian High Commission has provided Uma necessary consular and legal assistance. We are coordinating with Pakistan Foreign Office for the safe return of the lady to India and are also in touch with her family in India on the matter. She is safe, feeling secure. We are in touch with Pakistan to address the matter of her safe return, at the earliest. " Uzma statement was recorded on Monday in front of the Judicial Magistrate First Class in Pakistan, as per their internal legal requirement. "She is staying there on her own will because of her distress. She has reported this to both the Judicial Magistrate and the media," Bagley added. "The High Commission is happy to assist an Indian national particularly as she is in distress," he added. The Pakistan Foreign Office (FO) on Tuesday said that Uzma will be repatriated only after all legal requirements are completed. Dawn News quoted FO spokesperson Nafees Zakaria, as saying that Uzma's case is currently being heard in court and she will only be able to return once all legal requirements are complete. Zakaria added that the MEA had also requested the FO for details pertaining to her marriage to Ali, a Pakistani national. The next hearing of Uzma's case has been set for July 11. While recording her statement before the Court of a Judicial Magistrate First Class here, as per local legal requirements, Uzma (20) alleged that her Pakistani husband, whom she met in Malaysia, made her sign the Nikah Namah at gunpoint. She also said that she was sedated, assaulted, tortured mentally and physically by the man in Pakistan who had invited her to visit his family in Pakistan and provided the requisite sponsorship letter to the Pakistan High Commission in New Delhi for her visa.